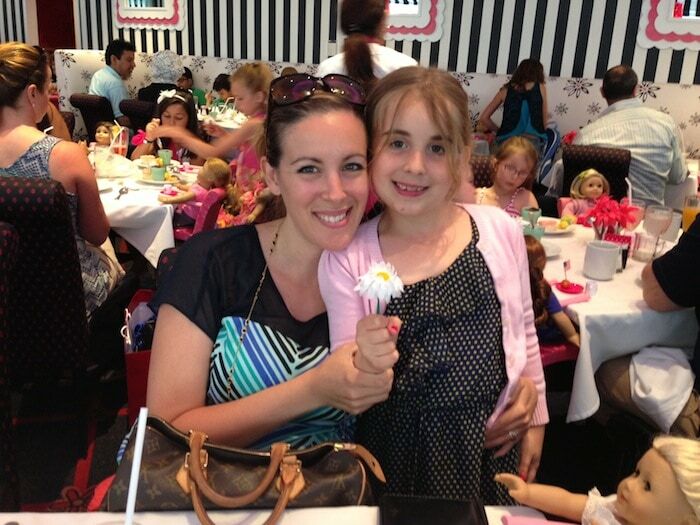 A few weeks ago, Natalie and I headed into the city with friends to have lunch at the American Girl doll store. We’ve been talking about this trip for YEARS – and it finally happened. I don’t think Natalie slept a wink the night before. 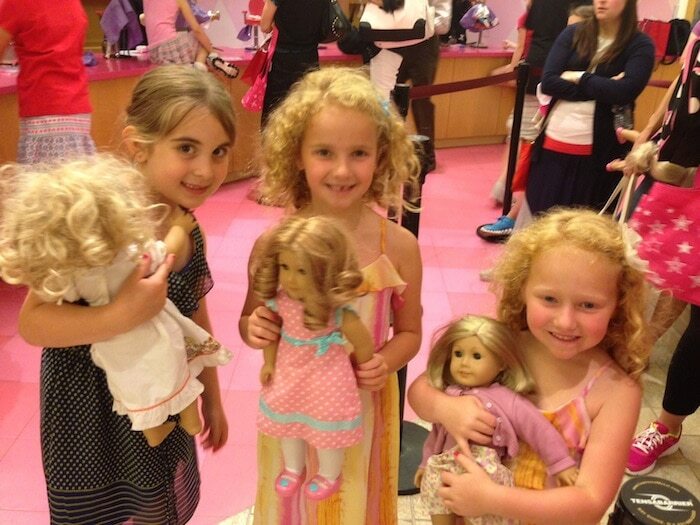 The girls each brought an American Girl that needed some work. 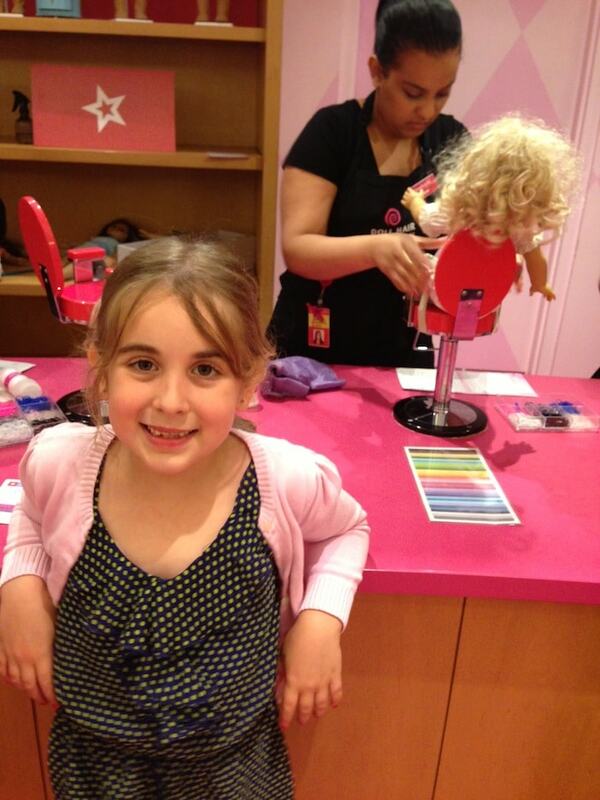 Caroline was the doll we owned that needed hair attention. Her locks are beautiful – and we really didn’t take care of them over the years. You should get there NICE AND EARLY to make your hair appointment. You cannot reserve a time slot unless you wait in line and do it in person. And be sure to have lunch reservations PRIOR to your trip. 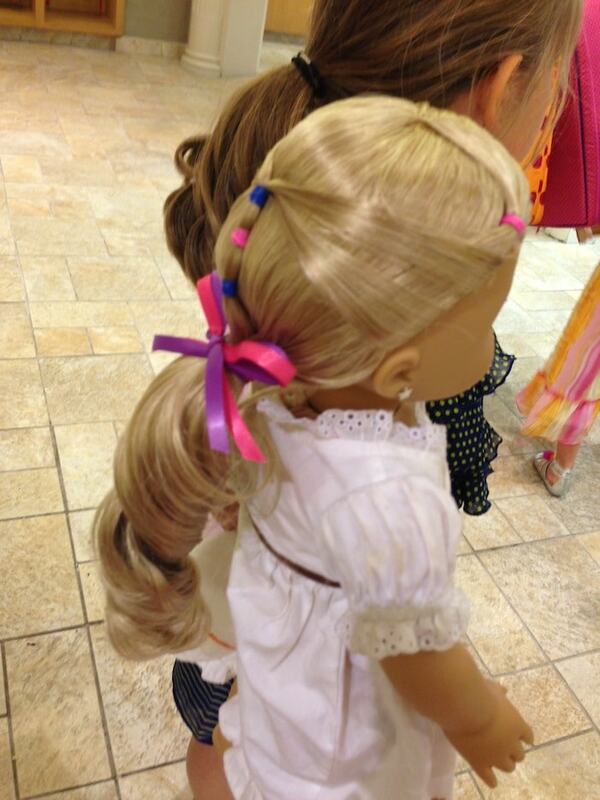 Originally, we were hoping to get the dolls’ hair done before lunch. But they couldn’t fit us all – so we had to do it after. It actually worked out. You will see why in a bit. Girls get a high chair seat which I thought was super cute. They also get a tiny plate and cup. This way, if your child wants to share her food, she can. But be warned…. Because it became all about THIS during lunch. 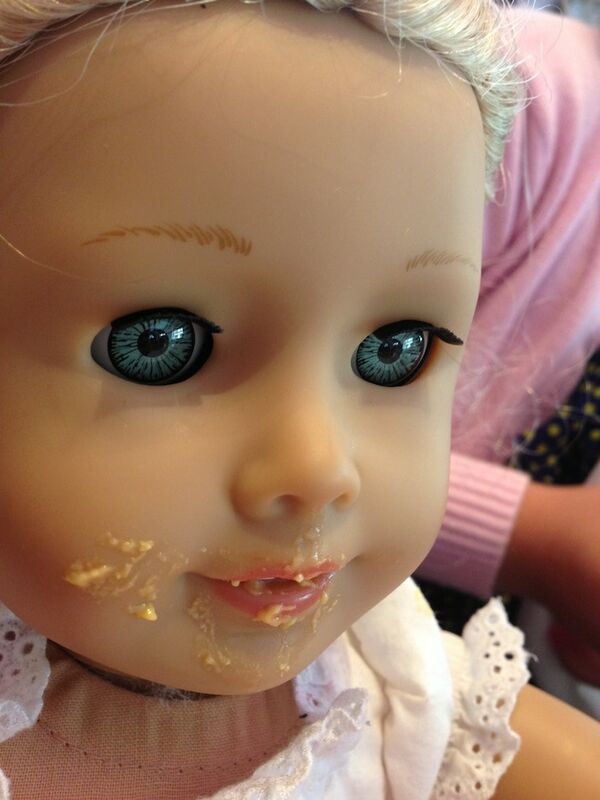 All of a sudden, the girls decided that their dolls were really messy eaters. 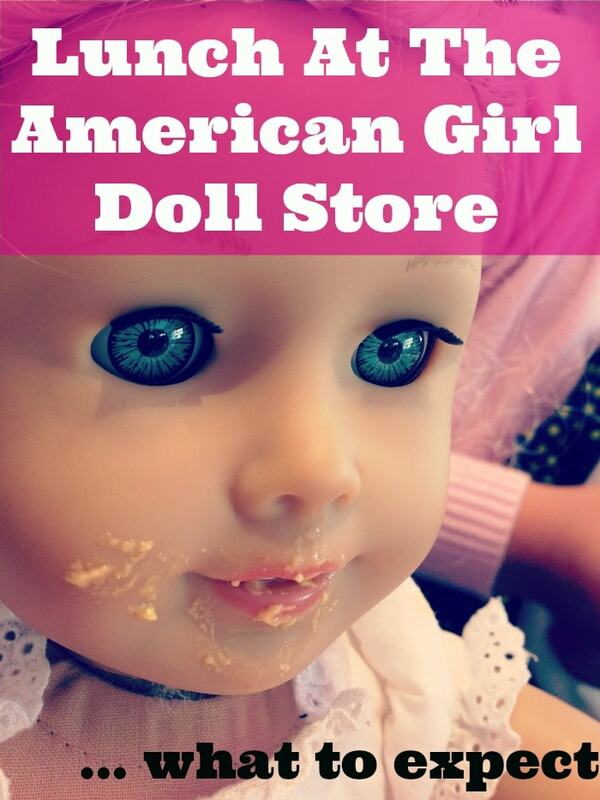 They were shoving food all over these poor American Girl dolls. But we let them because WHEN IN ROME…. That’s why I said it was good to have appointment AFTER lunch. They clean up the doll a bit when they do their hair. So I really didn’t mind all the mac and cheese. It’s a full spread – appetizers, lunch and dessert. And I believe it was $24 a pop for everyone at the table. Kid and adult alike. When lunch was over, we headed down to our hair appointment. We also got their EARS pierced!! Can you stand it? I opted for the “Hair Style of the Month” because I thought it would work best with Caroline’s hair. It kept it neat on top but it also showed off her beautiful locks on the bottom. Lots of fun. Natalie still talks about the trip. 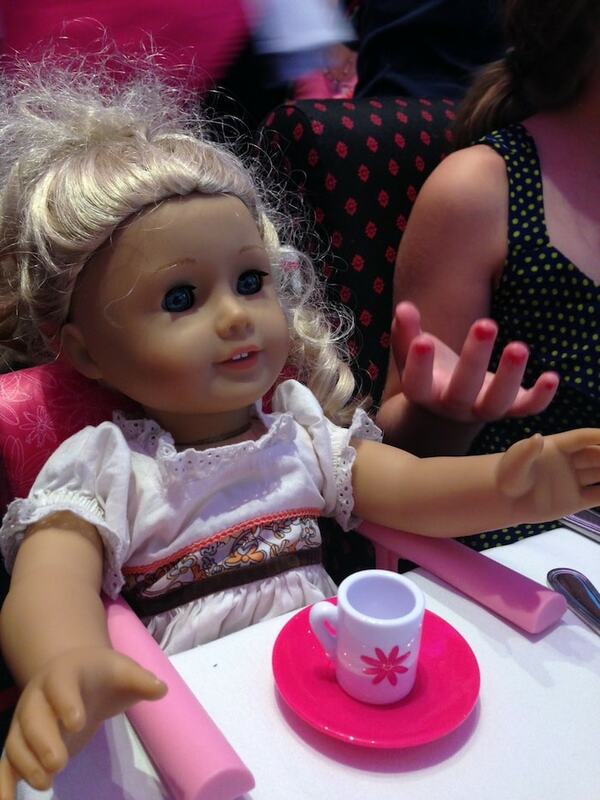 Have you ever gone to the American Girl Doll store and had lunch? 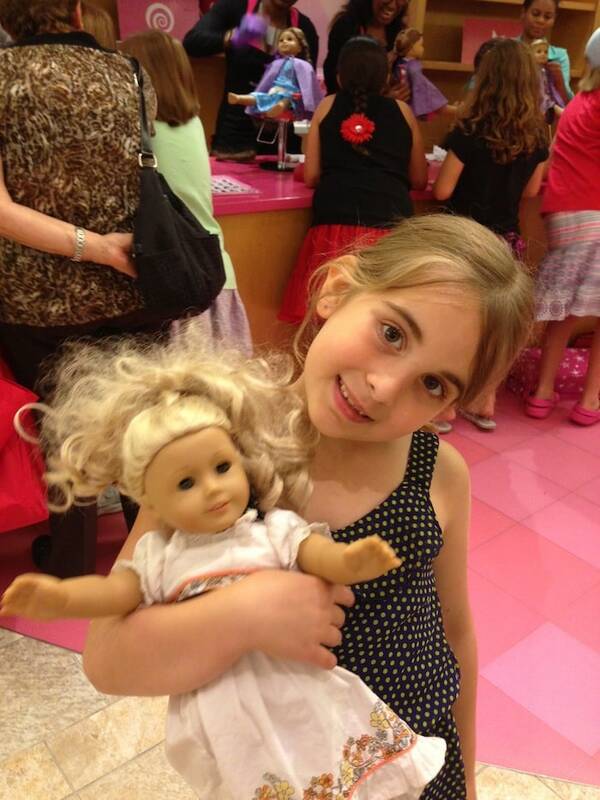 OH AND PS — if you don’t have a doll they will LEND ONE TO YOU!! 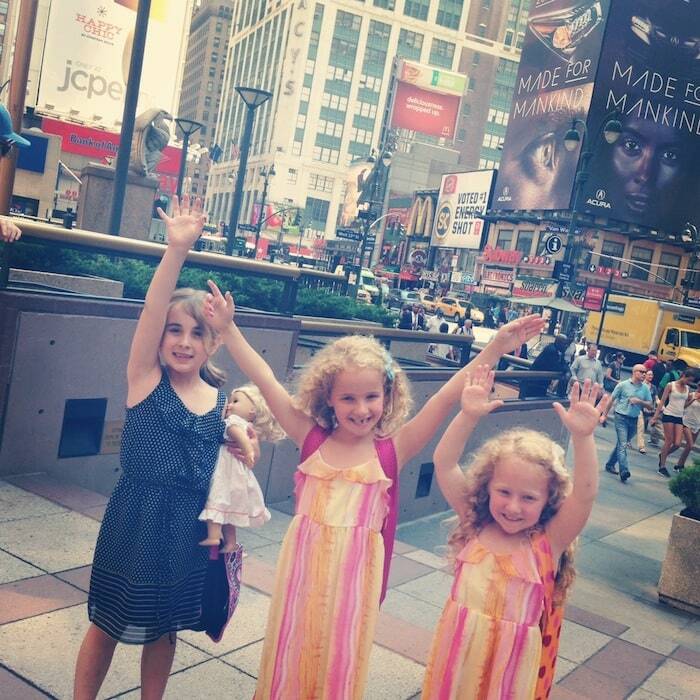 So, if you are on vacation in NYC and want to enjoy the experience – you CAN!